This week I'm sharing some of my favorite Christmas posts. This post was originally published in December of 2011. Let me just preface this by saying I didn't mean to send our Christmas cards out this year after Christmas. I put a great deal of thought and effort into our Christmas newsletter each year, and this year, I just wasn't inspired until after the big day. I thought this would be the year without a letter, which saddened me tremendously, because over the years the letter has evolved from something I did for you, my friends and family, to something I did for me. Which is not to say that I don't think of all of you as I'm writing, just that I've come to realize that while you enjoy the letters, I treasure them. It is such a treat to read through our previous letters each year to remember again where we've been. I didn't mean to send our Christmas greetings after Christmas, but I think you'll see why I think it worked out perfectly. When I (Scarlet) was in high school, I used to go around saying, “Merry Christmas” all the time. If you’ve known me long enough, maybe you remember. I think it must have been my I-am-unique-remember-me response to being one among hundreds of students in my high school. Oh, yeah, and there was also the turbulence inherent in adolescence—that makes people do strange things. It didn’t matter what time of year it was—always, my standard greeting was, “Merry Christmas.” Kind of silly. Now that I’m older, and (presumably) wiser, I’ve come to realize that maybe it wasn’t so silly after all. You see, every day can and should hold a little bit of Christmas, because God, first in the form of Christ, the Son, and now in the presence of the Holy Spirit, has come to live among us. And so, I think it’s fitting to remember, after the hustle and bustle and excitement, after the anticipation and build-up, followed by the inevitable let-down of the busy holiday season, that God is here with us. Every day. And that is why we celebrate. We hope that you have found peace and joy in this truth, even through the busyness of the season which often masks the truth. We pray that you will be blessed by God’s presence, and experience Christmas joy,every day in the coming year. This week I'm sharing some of my favorite Christmas posts. This one was originally posted in December of 2010. One of my favorite ways to count down to Christmas is to wrap up all of our children's books that have Christmas or winter themes, and then open and read one as a family each day in December until, on Christmas day, we open a wrapped Bible and read the Christmas story, as told in Luke 2. It's so nice to take time, in the busy-ness of the season, to sit quietly (or, some of us sit not so quietly) together as a family, reflecting on what it's really all about, and this practice ensures that we don't miss out on reading any of our favorite Christmas stories in December. We're actually not counting down this way, this year, so I've been bringing a couple of the books out at a time here and there. It warms my heart to see our older boys reading and sharing these treasured stories with their younger brother. One of my favorites is Room for a Little One: A Christmas Tale, written by Martin Waddell, and illustrated by Jason Cockcroft. "Come inside," Kind Ox called to Tired Donkey. "There's always room for a little one here." Tired Donkey brought Mary into the stable. Joseph made her a warm bed in the straw, to save her from the cold of the night. And so Jesus was born with the animals around Him; Kind Ox, Old Dog, Stray Cat, Small Mouse, and Tired Donkey all welcomed Him to the warmth of their stable. The book ends with these words: "that cold winter's night, beneath the star's light...a Little One came for the world." I always tear up as I read those words. The welcoming kindness of the animals is so touching, especially in contrast to the cruelty of the world. No room. There was no room in the inn, as Jesus entered our earthly world, and it seems, in many ways, many still declare "no room" in our world for Jesus, in countless ways, unintentional and intentional. My friends, my prayer for each of you this season is that you will make room in your heart for a Little One, who came to save the world. One of our favorite parts of getting ready for Christmas is going Christmas tree hunting. It's a fun little song, doncha think? Kinda catchy. When we arrived, we set off. Luckily, those trees don't move very fast, because we're not very speedy all bundled up in our snow gear. and sit by the fire (but I didn't get a picture of that). After we returned home, we turned on the Christmas carols, ate popcorn, and drank hot chocolate to celebrate our successful hunt. Everyone was eager to help put our trophy on display. Here is Bubby explaining the best way to get it in. Everything was going well, until we had a minor set-back. But we overcame all obstacles, and it was time for the ornaments. Here are the first few going on the tree. It's just how our family devotions have worked out. We started reading this book several months ago during our family devotions. We liked how it is actual scripture, but it leaves out some of the boring/repetitive/gory parts, and the text is easy to understand. About a month ago, we had completed the Old Testament and started reading about Jesus' birth story. Hubby suggested that maybe we should put this book aside, and read about Christ's birth later. Like around Christmas time. But we didn't really have another devotional book to read that we liked, so we kept plugging away. We've read on, and this week, as the world prepares to celebrate the birth of the Messiah, we are reading about His death. It's a jarring juxtaposition. At this time of year, we see representations of Jesus everywhere, but He's cute. And little. And surrounded by furry, cuddly barn animals. We get so caught up in celebrating baby Jesus that we don't remember why he was born, what he was born to do, what it's all leading up to. We forget that Jesus is more than just that cute little baby snuggled into a feeding trough. Jesus is also the man who performed miracles, tore up the temple, called religious leaders a brood of vipers, sweated blood, and died an excruciating death. That's what Christmas is about. Christmas is about God loving us enough to be with us, to experience life and death through our eyes, to forgive and redeem even our darkest parts. Jesus was born to die. For us. I'm hanging with the girls again this week. Just for a couple of days. And by girls I mean hens. Love those silly chickens. Those lucky birds now have a fenced-in yard. 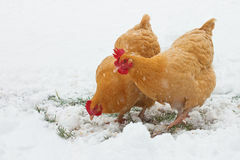 They used to be able to just roam free, that is, when my girlfriend let them out, which was nice for the chickens, but not so nice for the people, who were constantly stepping in chicken poop and subsequently tracking it into the house. It's just kind of...unavoidable. Anyway, one of the girls likes to fly out of the fenced yard, and then she can't get back in. Apparently, she panics and flies back out again if she is then let back into the enclosure. I guess she's afraid she won't be able to find the opening back into the coop. Old habits die hard, and this whole back door/fenced yard thing is less than 2 months old. She's only happy if you let her in the front door. Of the coop. This family loves their chickens, but not that much! So when I arrived bright and early Monday morning, this poor chicken was out. She had probably been out all night, and probably a good portion of the day before as well. Poor thing. She saw me and ran over to me like, oh, thank God you're here, chicken lady! When I got within a few steps, she squatted and did her little "pet me" thing, which is actually kind of rare, and totally adorable, and shows just how relieved she was to see me. I let her back into the coop, by the front door, of course, and she cooed thankfully at me. After that, I decided I needed to stop by again at sunset to make sure everyone was safe and settled and in the coop. Wouldn't want that poor bird to have to survive out in the wild for a second night. And I definitely wouldn't want to walk up to a scene of carnage if she didn't survive out in the wild. When I arrived, however, all half-dozen of my bird-friends were in their yard, pecking away. They all ran to greet me, through the back door into the coop, so I guess she found it. Remember when I said I might need to invest in some wide-mouth jars? Guess what I found at my friendly neighborhood thrift store? Uh huh. Five wide-mouth quart jars with bands--non-rusty bands--and lids that look unused. For forty-nine cents each. Yes! Score! These jars look brand new, and based on the fact that there are 5 of them, and the average canner holds 7 quarts, I'm thinking their previous owner bought them, canned one load, and decided no more canning for her (or him). Their loss is my gain. Now I can can some more beans. Because one wouldn't want to risk running out of beans. That's exactly what I was thinking as I walked up to the counter with 5 jars balanced in my arms. When will I have time to can a load of beans? As I was standing there in line, waiting for a box, of all things, for another customer, the lady ahead of me turned to me and said, I bet I know what you're doing with those! And I thought, but did not say, I bet you don't! She didn't. Because really, who expects a young-ish looking mama to be hoarding jars so she can can beans? Nobody, that's who. Additionally, on the score!-front, the first 2 pairs of pants that I inadvertently ordered for AKD have arrived. And guess what? He loves them! Even the wrong color pair. He wants to keep them, which leaves us with one more pair of pants to deal with. The third pair, also a wrong-color pair, the ones I ordered in the store, were shipped to the store. If I never show up to claim them, the order will automatically be canceled and refunded. Which means I don't have to do anything else with regards to the pants. Halleluiah, it's a Christmas miracle. Bubby had a friend over yesterday after school and I made a pie. When Bubby's friend walked into the kitchen, here's how the conversation went. Bubby's Friend: Are you making a pie? Me: You don't like chicken pot pie? BF: It's not my favorite. Me: What is your favorite? I made a pie yesterday. Because Hubby suggested I make a chicken pot pie to use up some roasted chicken left over from a Boy Scout event, and Hubby and AKD are the only ones in our household who love chicken pot pie. One other person thinks it's OK, and the others are reduced to tears at the thought of having to eat it. I figured making the pie when we have a guest will not only assure that more of the pie will be eaten (or at least dished out onto plates and pushed around enough that we don't feel as bad scraping it into the garbage), but it might also temper the tearful reaction. I was right, on both counts. Win. Even though it's not BF's favorite. When I was first married, I had a goal. I had decided previously that new year's resolutions don't work, and I had replaced them with goals: silly, fun goals. One year my goal was to make paper. Another year, it was to make ravioli from scratch. That particular year, 1995, my goal was to make a pie crust and get it into the pan without it cracking or breaking. A lofty goal, you must admit. For years, I had watched my mom struggle with pie crust. She tried various methods of getting it into the pan, but nothing worked. It always cracked. Mind you, there's nothing wrong with cracked crust--it's easy to patch, and it tasted just as good. It was just ... a struggle. I tried lots of methods. I think I probably even tried a pat in the pan pastry that was just atrocious. The winning method came from my mother in law, of all places. I say, of all places, because my mother in law has not, to my knowledge, made her own pie crust in all the years I've known her. Why would she, with ready-made crusts, and even ready-made pies, so readily available? Beaver-ly suggested that I roll the crust out between two pieces of wax paper, then use the wax paper to lift the crust into the pan. It worked! I made a pie crust and got it into the pan without it breaking or cracking, and then I declared that I was never going to make another pie crust again. But before I could never make another pie crust again, I had to do it once more to prove it was repeatable. So I did. That was 20 years ago, and I have used wax paper to roll out every crust I've made since then. And there have been more than a few over the years. It's so easy, and tastes so much better, why wouldn't I make my own crust? I've used wax paper to roll out every crust I've made since then, that is, until yesterday. How could I forget something so important, so essential? How could I forget something that I've been depending on for so many years to make my pie-baking experience go smoothly? I blame it on the fact that I had made Dutch-style pigs in blankets a few days previously. Well, you can probably guess what happened. That's right. I rolled out that crust and got it into the pan without it breaking or cracking and without the added crutch of wax paper. Amazed. I am simply ... amazed. I made a pie. I made a crust, rolled it out, and got it into the pan without it breaking or cracking. AKD requested a certain kind of pants--not necessarily a specific brand, but a certain style, cut, and material. And these are definitely a style of pants that are available...if I'm willing to pay $75 for them. Keep in mind: underwear, socks, and shoes were the only clothing I bought new for my children until very recently--until AKD started needing clothes from the men's department, in fact. I'm used to paying no more than $4 for pants for my kids, usually less. I found some pants that I thought fit his specifications at what I thought was a reasonable price. But they didn't have his size in the store. I don't like shopping. I may have mentioned that before. But I need you to know. I really, really do not like shopping. And I had already been on my feet for several hours knocking out multiple errands. It was Saturday--two Saturdays before Christmas--and all the world was intent on reminding me why I don't shop on weekends, and why I avoid stores from Thanksgiving on through December. I was done. So, so done. So I brought the wrong size pants to the internet order pick-up counter, and asked if the lovely salesperson would order some for me in the correct size. And there was a stool there. I was able to sit. It was kind of like experiencing the kingdom of heaven on earth. And the salesperson was my angel. Not only did she order the pants in the right size, but she gave me an additional discount. I kind of floated out of there. Except my feet hurt, and my legs were cramping, so it was more like limping. And then I got home, checked my email, and realized that my angel had ordered the wrong color. And there was no way for me to cancel the order myself and order the right ones. So I called Joel at the service center. Joel was a nice enough fellow, but he was certainly no optimist, and he didn't seem very competent or efficient. He did seem very impressed by my patience and cheerful attitude, though. And I gotta tell you, for the very first time in my life, I felt like I was living out the lyric, "and they'll know we are Christians by our love, by our love, yes they'll know we are Christians by our love..."
HE HAD ORDERED THE EXACT SAME PANTS IN THE EXACT SAME WRONG COLOR. Ten minutes later (30 minutes total, if you're keeping track), he read off my new order number for the right pants in the right size and in the right color. I asked him to confirm that he had canceled the other 2 orders, and he assured me that he had. And I believed him. What else could I do? Until the next morning when I got an email saying that my WRONG PANTS orders, BOTH OF THEM, had shipped! There was a moment, when I was sitting there on my heavenly stool in the store, rolling my sore neck and stretching my aching back, and my angel of a salesperson seemed to be having difficulty placing my order, when I wondered if it would be easier for me to just go home and place the order myself. But I shook it off. I told myself, let this lovely person order the pants for you. It's easier this way, and you'll know you're getting exactly what you want. And the sitting. It was so good. Ha. So on Thursday, 3 pairs of pants will be arriving on my doorstep, and I will have to make the trek to the store to return at least 2 of them. That'll teach me. No more pants shopping for me. I just know that y'all have been waiting, holding your breath in anticipation of this year's holiday baking list. I know this, because no one has asked me about it, and of course you wouldn't, because you can't, because you're holding your breath. Kind of hard to talk in that situation. I'm going simple this year. OK, I guess simple is relative. I'm going simple this year in relation to past years. Once again I asked my boys what Christmas treats they wanted me to make, and once again, all three of the ones who came from my body said they wanted snickerdoodles. 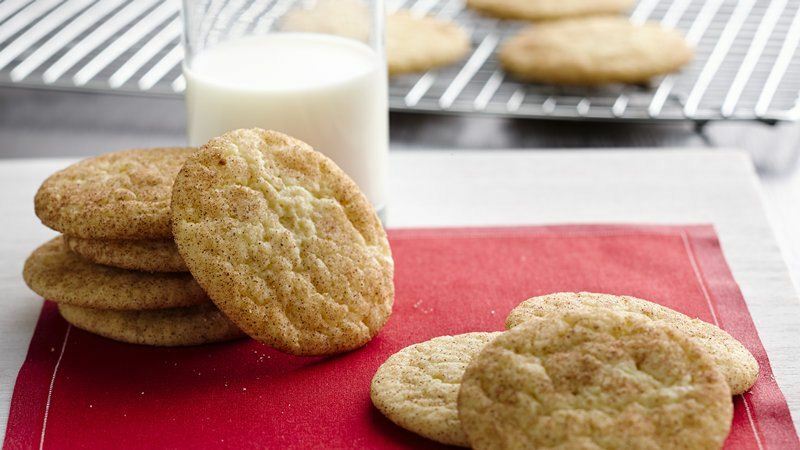 One more time, and for the record, snickerdoodles ARE NOT CHRISTMAS COOKIES! They are, most definitely, anytime of the year cookies. Which means they can also be enjoyed at Christmas-time, that's true. But boys. Seriously. Use a little imagination. 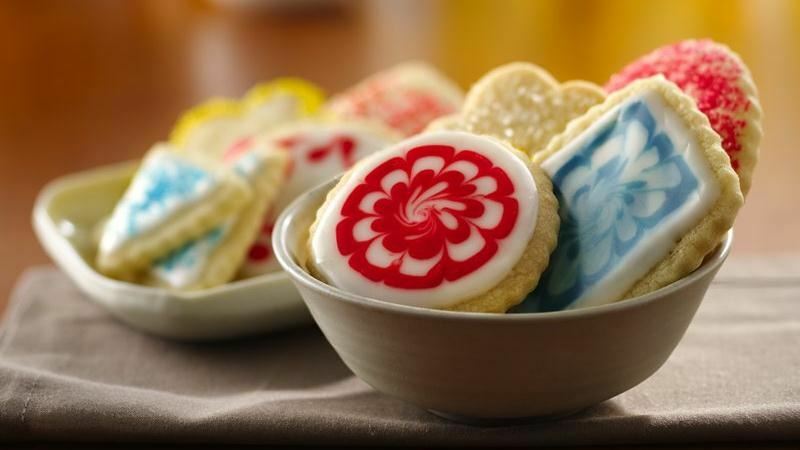 There are so many other great cookies out there. Cookies that have chocolate in them. That's more like it. Even though only one of them includes chocolate. Boys. The oldest boy hasn't conveyed his choice to me yet. I was assuming it would be little cookies, but I really shouldn't. Assume, that is. It surprises me that this man I married continues to surprise me after 20+ years of marriage. I also have to make (but these aren't cookies, so it's ok) peppermint bark** and nutter butter reindeers. What holiday treats are you making this year? Melt some chocolate, dark, milk, whatever you prefer, and spread it in a thin layer on something it won't stick to (like parchment paper or a silpat mat). Allow to harden and cool. Melt a similar amount of Wilton's Candy Cane Colorburst candy melts (you can get these at craft stores--I actually got some at Aldi), and spread over the top of your chocolate. The chocolate might melt a bit. That's OK. Immediately sprinkle with crushed peppermint candy (I use candy canes), and press the candy into the candy melts a bit. Allow to cool and harden, then break into bite sized pieces and enjoy. We do this thing every morning, Bubby and I. He wakes up and gets dressed, then we check the lunch and snack calendar and he tells me whether he wants school lunch and snack that day or wants to bring them from home. And then I ask him what he wants for breakfast. It's a simple question, really. Some of us start thinking about what we're going to have for breakfast as soon as the supper dishes are cleared away. We're forward thinkers, in that way. Especially those of us who use things, like egg whites and berries, that need to be thawed before they are consumed. Some of us have the same thing for breakfast every day so we don't have to make that decision. But even those of us who don't plan ahead think about food constantly or have to thaw things should be able to answer that question without too much difficulty. Poor Bubby. Every day, he struggles with this simple question of how to break his fast. Since he doesn't know what he wants, he stalls for time, telling me he's not hungry yet. And I let him. I've figured it out after 8+ years of being his mama. He needs a little time in the morning. So we set a timer to remind us to ask again. And when the timer rings, Bubby says, "I want toast with peanut butter for breakfast." It's comforting to have our routines, isn't it? I don't know if Bubby honestly doesn't know the first time I ask that he will have toast, or if he just likes the give and take and the pauses of the routine. Doesn't matter. I will continue to ask my boy what he wants for breakfast, and he will continue to not be hungry, and I will continue to set a timer, and he will continue to ask for toast with peanut butter. Until he doesn't anymore. And that will be ok, too. Here's what I like about Bing Rewards and Swagbucks. Both of these websites reward me with points for doing things I would normally do (like running web searches), and then I can exchange those points for gift cards. Which is a wonderful thing. I mean, who doesn't want free gift cards? But the even better thing is what I can do with those gift cards. I can give them away. I have a friend whose mama is in the hospital. Things are not looking good, and answers are elusive. My friend is understandably distraught, and I just want to wrap her in a hug and tell her I love her. Which I could totally do if she would spend more than 5 minutes in one place in between visiting her mama in the hospital, working full time, and managing a household and 3 children, two of whom have developmental challenges. I also want to take this burden away from her, but that's something I can't do. Enter Bing Rewards. I had enough points in my account to redeem for a $5 Starbucks gift card. It's not much, but that coffee will mean more to her than I can know. It lets my dear friend know that I am with her, praying for her, loving her, sharing her burden in a small way. And it doesn't cost me a thing (well, except I'm not going to get to enjoy that cup of coffee, but since I don't like coffee, it's all good). I like Bing because points are rewarded for each search you do (there are a couple of other ways to earn points as well), but the points are limited to a certain number per day. I generally earn enough Bing Rewards points to redeem for one $5 gift card per month. Swagbucks search rewards are random, but you can earn points in lots of other ways, and the number of points you can earn in a day are unlimited. Swagbucks also has a much greater variety of rewards. I generally earn enough swagbucks to redeem for one $25 gift card per month (if you want to give away smaller amounts, you can get smaller gift cards, or use your $25 gift card to buy ... gift cards ... in whatever denomination you want). So anyway, I would like to encourage you to at least consider signing up for one or both of these services. Since I don't earn an income, it is such a wonderful feeling to be able to bless others in small, tangible ways, without spending anything out of pocket. I made these bars. Cookies. Am I the only one who feels a little strange leaving the "cookie" part off of the whole "bar cookie" thing? I actually remember the first time I heard someone refer to bar cookies as just ... bars. It took me a minute to figure out what she was talking about. Bars? What kind of bars? Like the kind you put on windows? Prison bars? Or the kind where you go to order a drink? Why would we make either of those things for a meal served to homeless folks? Bars must be a regional thing? Like how in WV they say "covered dish" instead of potluck. Or not? Anyway, I made these bar( cookie)s. And I knew, just looking at the list of ingredients, that they would be good. 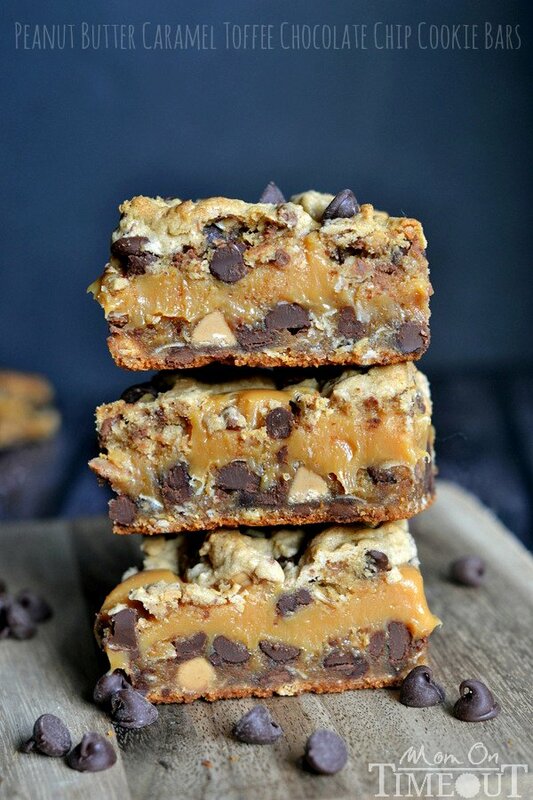 I mean, it's a chocolate chip cookie base with a little bit of peanut butter and a little bit of oatmeal in it. Just that by itself would be good. But then you add peanut butter chips and heath bits, in addition to the full 2 cups of chocolate chips. Very good. Then you fill them with a gooey caramel sauce. Amazing. So I knew they would be good. But then I tasted them. And I could not believe just how good they were. Ah-maze-zing. And it's not just me. Every person who tried them said the same thing (and a lot of people tried them, because I had to get them out of my house before they all decided to throw a party in my tummy). I would tell my unsuspecting victim what was in the bar( cookie)s, and they would say, oooh, that sounds good, and then they would taste them, and their face would lift and eyes would widen and they would stare at me and say, these. are. amazing. And I would say, I know! I am amazed at how amazing these taste. Try these at your own risk, my friends, because these things are dangerous. Whew! My* pressure canner has been getting quite a workout lately. First there were the 7 quarts and 7 pints of turkey stock (3 loads!) on Saturday, and then I canned 5 quarts of pinto beans yesterday (and I'm thinking of doing another load while I have the canner and all the stuff out). I am amazed at how nonchalant I am these days about canning with pressure, especially considering how I felt 3 short years ago. I used to plan for weeks for my canning sessions. These days, it's no big deal. If I'm doing beans, I soak them the night before, but other than that, I just go. But you may recall that I mentioned I have trouble with seals on my pressure canned jars. I don't think I've ever had any of my water bath seals fail, but I don't think I've ever had a pressure canned load that all sealed perfectly (maybe green beans, but those were pints. Oh, and my pints of black beans sealed, too...hmmm, interesting), including my turkey stock a couple of days ago. In fact, the last time I canned pinto beans, only 20% of the jars sealed. Not a passing grade. I wasn't sure what I was doing wrong, and I was feeling quite discouraged. I mean, 80% failed seals! But in the past few days, I've gotten a clue. I ran out of lids. Well, not really. I ran out of regular-mouth lids, so I had to go to plan B, which was using wide-mouth jars and lids. I don't have as many wide-mouth jars, because regular jars and lids are cheaper, and it's just more convenient to have all the jars the same. In fact, when I give away jars to people who probably won't return them, I always make a point to give them a wide-mouth jar. Now I'm going to have to rethink that policy. Because every single one of my pressure canned wide-mouth jars sealed. One hundred percent. That's 8 jars, in 2 separate loads. Hmmm. Is it a coincidence? Or do wide mouth jars really seal more consistently in the pressure canner? I don't know, but for now, I think I'm gonna have to buy some wide-mouth jars.